On Tuesday, Ash Hoskin, who was involved with the youth department before becoming the first development squad coach in 2010, has returned to the club as a coach within the academy. He took his first session this week and it is very much a welcome return for someone who, apart from his coaching ability, knows the club very well and is very much a committed Claret. With no disrespect to Ash, that news was certainly usurped on the following day with a special award for academy goalkeeping coach Craig Mawson who won the FA's Goalkeeping Coach of the Year Award for 2015. That's a fantastic honour for one of our coaches to win such a prestigious award. Mawson has worked in our youth department for a number of years and has been a full time coach since 2010. First team goalkeeping coach Billy Mercer said: "It's no surprise to anyone that Craig has been given this award. It's an unbelievable achievement that is thoroughly deserved as he works tirelessly and is very meticulous in what he does. "His work goes way beyond the youth team. He works all the way down to the eight-year-olds, working two, three nights a week with them and it's a job that hasn't gone unnoticed on our behalf certainly." 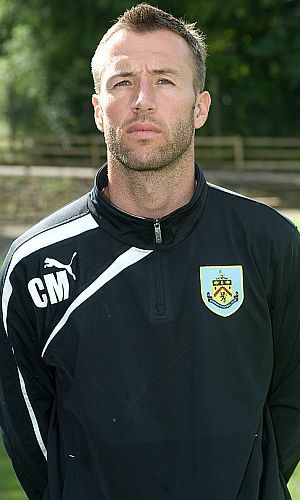 Clarets Mad certainly send our congratulations to him on winning this award. As for the youth team, they are at home tomorrow against Vale a team that we didn't beat in two games last season. We drew the home game 2-2 with goals from Christian Hill and Andy Nugent, but were beaten 5-0 in the return fixture. We did beat them in our only game against them in 2013/14. Two goals from Ntumba Massanka and one from Brandon Wilson gave us a 3-2 win at home. Tomorrow's game kicks off at 11 a.m. at Gawthorpe.